Is your money burning a hole in your pocket and Australia’s shopping scene isn’t quite cutting it? If so, check out these three top shopping destinations in the world then book your ticket and go! 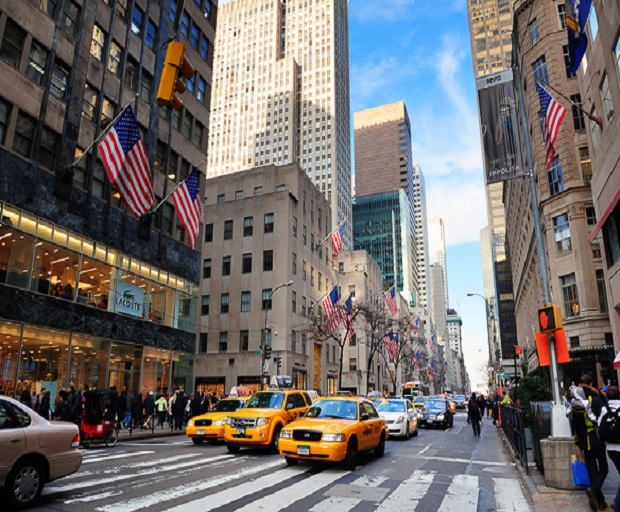 New York has endless shopping possibilities for all budgets, from the cheaper department stores right through to high end fashion shops, so the only problem you’ll have is deciding where to start. Some of the most popular shopping districts in New York are SoHo, Nolita (North of Little Italy), Lower Manhattan, Fifth Avenue, Madison Avenue and the Upper West Side. One of the most well-known department stores is Macy’s, located in Herald Square, with eleven floors of stores. And you haven’t been shopping in New York if you haven’t experienced the rush of a Sample Sale. During these sales you can save huge amounts on designer labels for a limited time, but to get to them you’ll probably have to fend off hundreds of other bargain hunters too. Sometimes they start very early in the morning so get there early to get a good spot in line. Because it gets so hot in Dubai most of the shops can be found in cool, air conditioned malls, but shops aren’t the only things you’ll find inside. With art galleries, child care centres, beauty salons and even ski slopes, you can spend days perusing the malls in Dubai. One of the most opulent malls in Dubai is Mall of the Emirates and it’s also one of the largest in the city. It is home to chic boutiques and exclusive designer stores as well as the Kempinski Hotel. A major shopping event not to be missed is the Dubai Shopping Festival, held in January and February each year which boasts city wide sales, huge promotions, live entertainment, street fairs and fireworks. Because it’s held in winter it’s much more bearable to stroll along outside in the streets. Japanese people love the latest trends, the latest fashion and they love to shop, so where better to spend your money than in this world renowned shopping paradise? If you’re looking for clothes, accessories or electronics, you’ll find everything you’re looking for and more in Tokyo. Ginza is one of the most popular shopping districts in Tokyo which is home to high end boutiques and sophisticated restaurants such as the Gucci Café and Armani restaurant, so you can rest your weary feet after hours of shopping. Other popular shopping areas are Harajuku, Omotesando and Shinjuku – a huge entertainment and shopping district and home to the world’s busiest train station, seeing over two million passengers a day. Shibuya is for the younger crowd and that’s where you’ll find a number of department stores and specialty shops. If you’re after a bargain consider travelling when the Japan Shopping Festival is in full swing, twice a year in the summer and winter. During this time discounts of up to 70% apply to participating stores. Milan is world renowned for being one of the most popular destinations for shopping and high end fashion and is home to the twice-annual fashion week, where designers put their new collections on show. It’s not uncommon to see people walking the streets in the same weird and wonderful garments that graced the stages at fashion week, but be warned, the clothing in Milan comes with a hefty price tag, unless you’re prepared to do the hard yards and really shop around. One good thing about the fashion in Milan is that it goes out of fashion very quickly so you can find great clothes at discounted prices at a number of outlet stores and malls, including the II Salvagente, an outlet mall with three floors of men and women’s designer clothing. If you’re really looking for the high end fashion, look no further than Quadrilatero d’Oro, a high class shopping district in the centre of Milan where you will find all of the big names such as Louis Vuitton, Gucci, Fendi, Dolce and Gabbana and Prada. You might even be entitled to a tax refund on some items so keep your receipts and lodge them at the airport before you depart.